Field Target Trophy .22 cal. 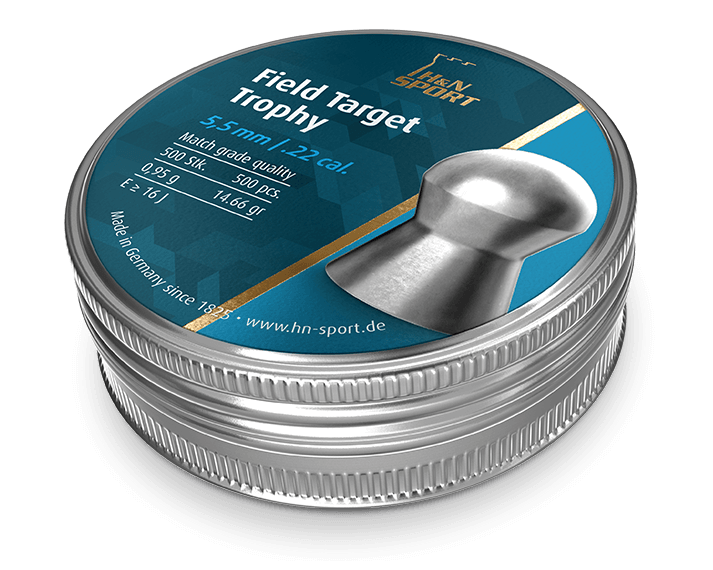 Medium-weight, extremely accurate competition and hunting pellet with flat trajectory for medium ranges. Exceptional aerodynamic design for high impact and penetration. Tightest shot groups. Lowest rate of lead fouling and consistent shot spreads thanks to special alloy. Head sizes available: 5.53–5.55. Smooth. 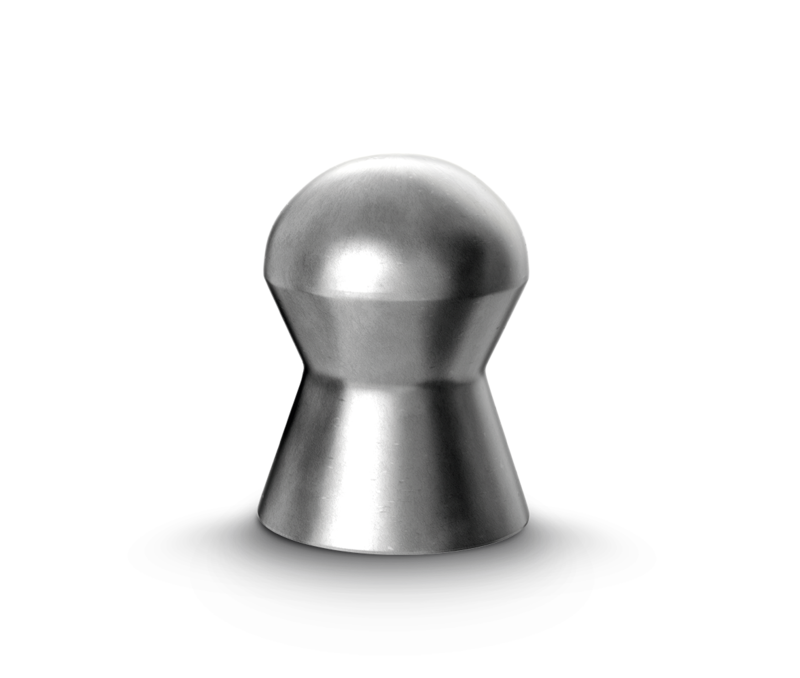 This tool calculates the ballistic curve, the velocity and the kinetic energy of an airgun pellet depending on the distance. Enter the characteristics of your gun. If the sight of a gun is set in a way that the intended target is hit at a fixed range. ("zero range"). The kinetic energy of an air gun pellet depends on the mass and the instantaneous velocity of the pellet. The muzzle velocity depends on two factors: The muzzle energy of the weapon and the mass of the air gun pellet. The ballistic coefficient (BC) describes the drag deceleration of the air gun pellet. This deceleration depends on the shape, mass, and cross-sectional area of the pellet. The ballistic curve of an air gun pellet describes the trajectory of the pellet after it leaves the barrel. The trajectory depends on many factors: muzzle velocity, firing angle, mass of the pellet, gravity, and air resistance. Hunting Sampler 4,5 mm /.177 cal. Which hunting pellet is the right one? The choice of the right pellet is of absolute importance for your success in hunting. The fastest and most economical solutions are our sampler sets. In the proven, re-sealable tubes you will always find the right pellet. All pellets have an excellent precision. This assures very good results, even with less-than-perfect shot placement or at longer ranges.